A quick Google news search for “Theresa May and “Abu Qatada” reveals over 2,000 mainstream media articles in the last three days combining both. This is hardly surprising, as in her speech announcing her candidacy for Tory leader (and thus PM) May dwelt on her deportation of Abu Qatada as evidence she was qualified for the job. The May supporting Tory MP who was put up for Sky to interview immediately afterwards managed to say “Abu Qatada” three times in a two minute interview. 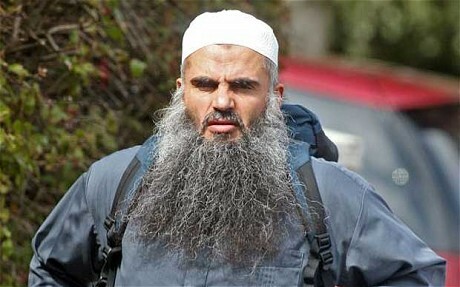 Abu Qatada should indeed be a powerful symbol – but not the symbol he has become, a hate figure. He should rather be a symbol of the hate-filled and intolerant place Britain has become, and the dreadful injustice meted out to individuals both by the state and the media. Abu Qatada spent, over a thirteen year period, a total of nine years in jail in England despite never being charged with any crime. It is not just that he was not convicted. He was never charged. Nine years, think about it. In all that time, neither he nor his lawyers were ever permitted to see the accusations or evidence against him. Britain has draconian anti-terrorism laws that would make a dictatorship blush. It is an offence to “glorify” terrorism. It is specifically “terrorism” for me to write, here and now, that Nelson Mandela was justified in supporting the bombing campaign that got him arrested. I just knowingly committed “glorifying terrorism” under British law. It is specifically “terrorism” to deface the property in the UK of a foreign state with a political motive. If I spray “Gay Pride” on the Saudi embassy, that is terrorism. We also have secret courts, where “terrorists” can be convicted without ever seeing the “intelligence-based” evidence against them. We have convicted young idiots for discussing terror fantasies online. We have convicted a wife who “must have known” what her husband was doing (at least that one was overturned on appeal). Yet even with the bar so low it is resting on the ground, from his first arrest in 2001 to his deportation in 2013, through innumerable arrests, police interviews, wiretaps, computer seizures and searches, no evidence against Abu Qatada was ever found which would stand up in court. It is worth noting that if almost any of the vast number of accusations the tabloids made against him had been true, for example if he had actually said in sermons the things he was stated to have said in the UK press, he could have been charged and convicted. But investigation by the police and security services found every single one of these claims to be false. It is true that Theresa May did succeed in deporting him. To Jordan, where he faced charges of association with terrorist groups. In two trials, one before a military tribunal, Abu Qatada was found not guilty of association with terrorism and all other charges. It should be very plainly understood that the Jordanian monarchy is no friend at all to Palestinian salafist clerics like Abu Qatada, and he had good reason to fear being deported there. But even they found that the evidence Abu Qatada is a terrorist does not exist. Now I have never met him, though I have met his lawyers and doctor. Abu Qatada holds views with which I do not agree; I dislike the bigoted in any religion. But his main crime appears to have been to be a Palestinian cleric with a perfect comic opera appearance for the right wing media to make up quotes and hate stories around. This picture is taken from a hilarious Daily Telegraph article in which that author complains that Abu Qatada had “fooled us again” – by the dastardly expedient of not actually committing any crimes. 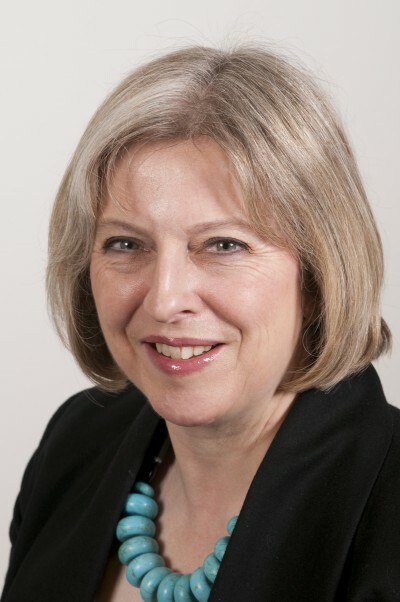 So if you are proud of a world in which people against whom there is not one shred of court-worthy evidence, who have never been charged, can be detained for nine years and then deported, vote for Theresa May as PM. I expect the Tories will, happily. Abu Qatada should indeed be a symbol. He should be a symbol of the deepest national disgrace of unjustified imprisonment and of the foul place the United Kingdom has become under successive far right Labour and Tory governments. And I say far right with deliberation. In what other kind of country could the story of Abu Qatada happen?